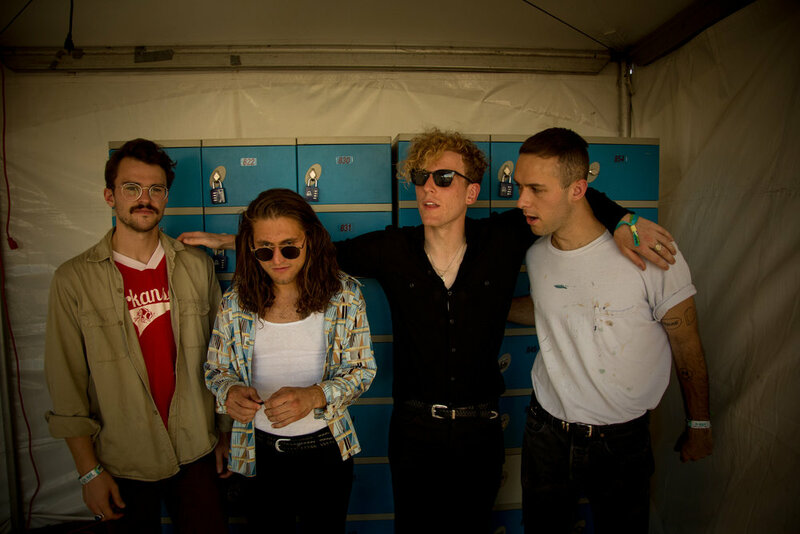 We sat down with the indie-pop band, COIN, from Nashville, Tennessee during the second weekend of Austin City Limits Festival. 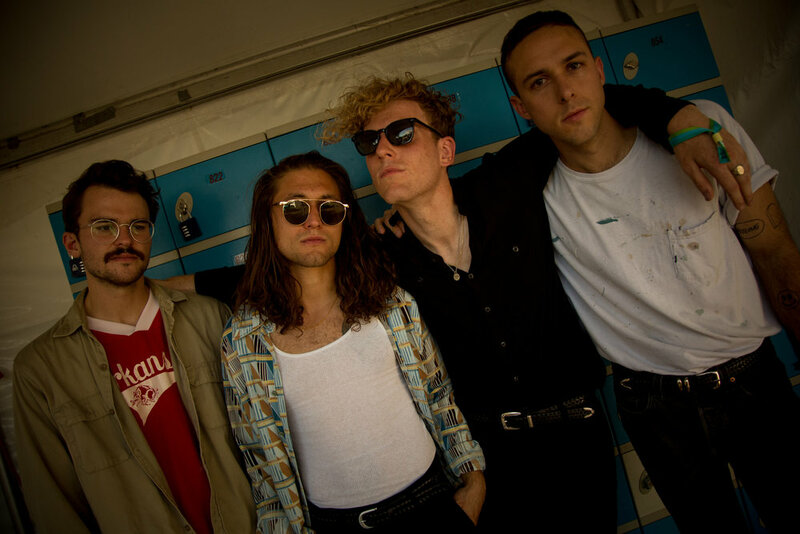 The band consists of the members, Chase Lawrence (lead vocals), Ryan Winnen (drums), Joe Memmel (lead guitar, backing vocals) and Zachary Dyke (bass guitar). They talked about their first headline tour and their journey over the past year. Teal Magazine: You've been touring for awhile now. How will you compare your first headline tour versus what you expect your headline tours to be now? Chase: I don't think we ever expected anything. We wanna keep doing what we love and hopefully more people attach themselves onto it. It’s a win at the end of the day if one person cares and it’s really exciting and humbling to see that more people care, obviously. It doesn’t make it any less rewarding. We aren’t very numbers driven, per say, or at least we don’t try to be. I think at the end of the day, there’s more production, and us being generally more content. I think I’m really excited to do the tour and focus on the moment, and really live there in that time. Teal Magazine: Did you expect to bring a different vibe to each tour? Are How Will You Know If You Never Try Part 1 and Part 2 different? Chase: In Part 2, we’re playing songs that we haven’t played before and it’s just different cities we don’t get to play that often. Chase: Yeah, there’s different production in general. However, the North American Tour will be totally different in the fact that it will even have new music out. That will be a big thing too. Teal Magazine: What it’s like seeing online interactions with fans versus seeing and meeting them in real life? Chase: It’s cool seeing them at a concert and realizing they’re a real person. I think that’s what cool about it. Teal Magazine: How have you grown since your first album and how has it influenced How Will You Know If You Never Try? Chase: I think it's because we have physically and mentally grown up and all the things that come along with that, the maturation process. This is what it is, there’s no point in trying to go through life experiences or something. I think we’ve just actually grown up. We were literally in college when we started this. Joe: It’s really nice to understand what you like as a person. Chase: You have a taste and you develop a taste, and that takes time. Then you acquire the skill set to achieve that taste, and that takes even longer or sometimes forever..
Joe: Just more-so on individuality. "There’s no science to it; it’s a two way street between us and them or us and anyone that cares enough to invest themselves in us. We really try to make it a conversation. " Teal Magazine: How would you base your limit to fan interactions online? Do you guys often like using social media to interact with them? Chase: There’s no science to it; it’s a two way street between us and them or us and anyone that cares enough to invest themselves in us. We really try to make it a conversation. There was a time where we stepped away from it [social media] but it’s more like now, “if people care to come to as many shows as they come to or even come to one show at all” we definitely make the effort to be personal with them and have a genuine connection with those people. Teal Magazine: While writing music or these experiences, would you like your fans/audience to somehow find a connection to relate to it? Chase: If they do, that’s awesome. I’m going in writing a song, at least at this point in my life, that’s going to speak to someone. I’m just gonna write a song that I want to write this point. Teal Magazine: How would you guys describe your songwriting process? Chase: We start with a voice memo and trade it between the four of us. Eventually, that develops into a minute worth of music. Then, it develops into two minutes worth of music, then into three, then into twenty minutes worth of music, then we cut it and make it three again. Teal Magazine: Have you guys done anything cool in Austin since you got here? Chase: Yeah! We saw The Killers last night in a 200 cap room. Our friend plays for them, so that was really cool. 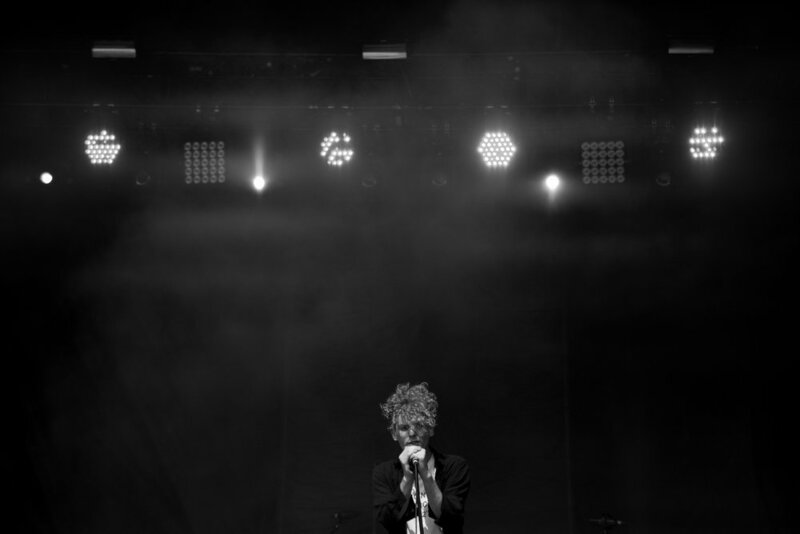 Teal Magazine: What is your favorite past festival performance so far out of this year? Is there any memorable experiences from certain festivals? 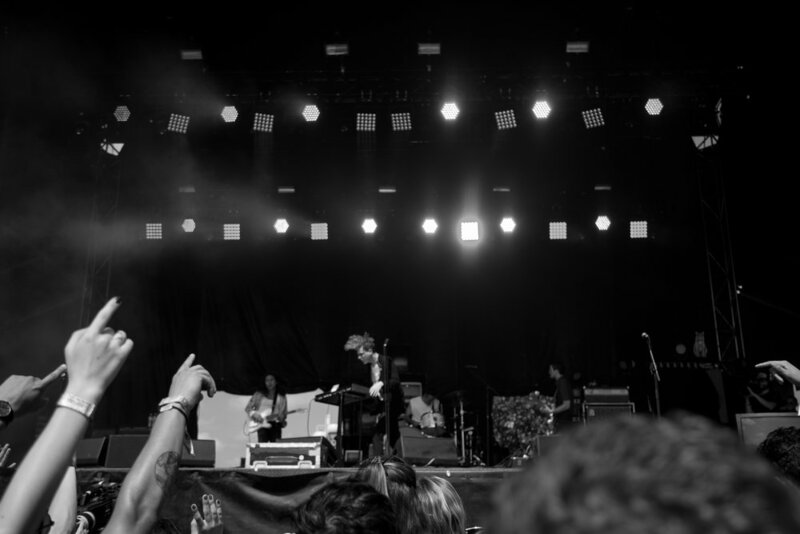 Chase: Austin City Limits has been awesome. However, we love them all! 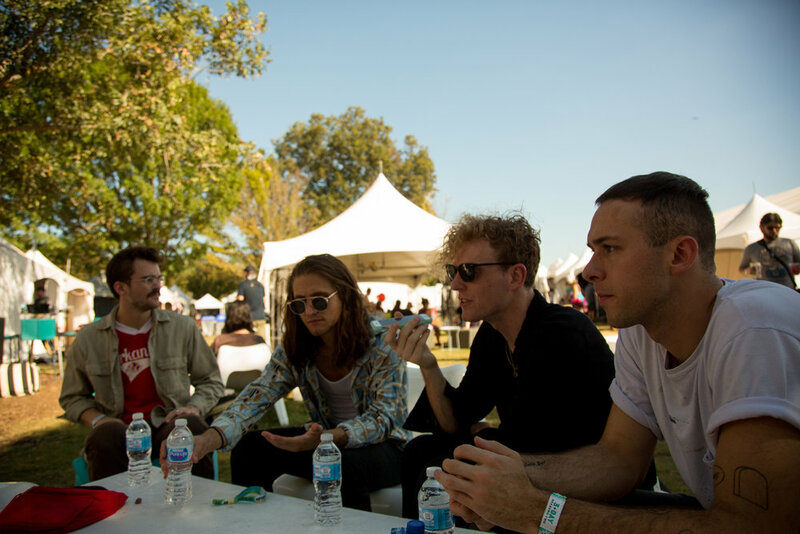 Ryan: Lollapolooza in 2015 and Music Midtown this year were both great! 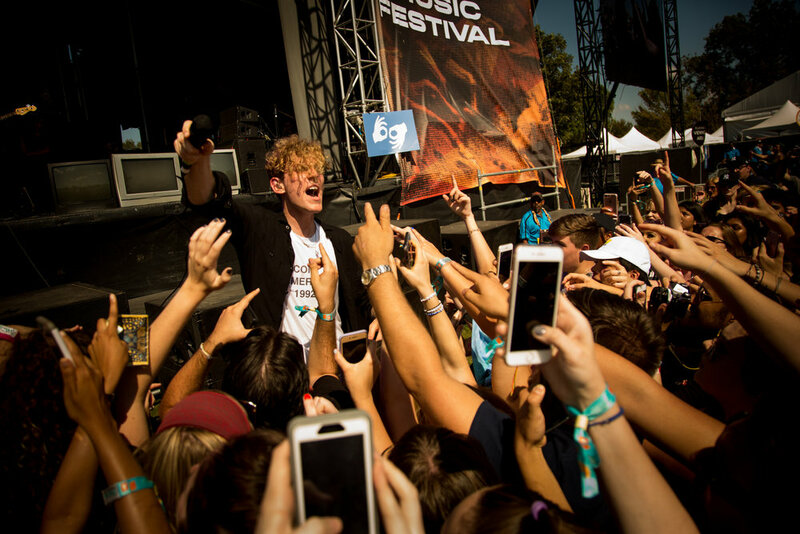 Chase: Music Midtown was a special one for sure. 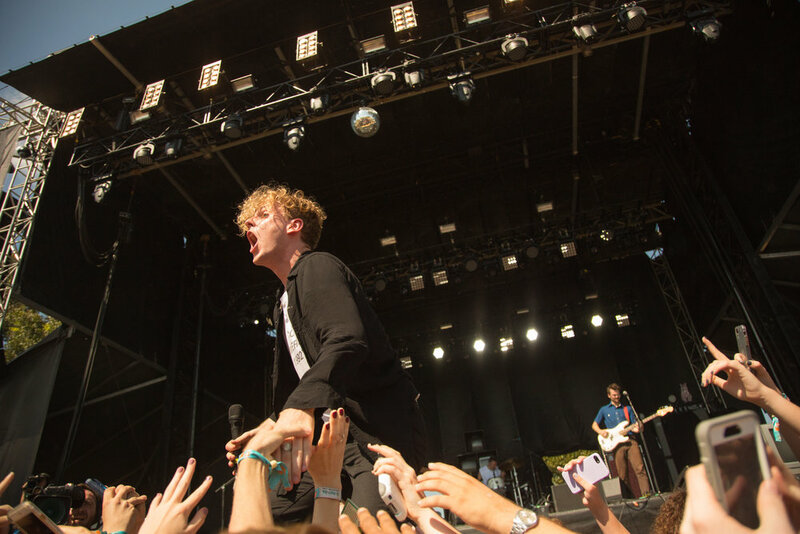 Teal Magazine: What did you guys expect coming into Austin City Limits Fest? Chase: I wasn’t expecting anything. Joe: It wasn’t as packed as SXSW, that is for sure. Chase: I really didn’t expect the heat. It really crept up on me. Teal Magazine: What are your individual hobbies outside of music? Chase: I don’t have many hobbies outside of music, as of right now. Joe: I really don’t [either]. 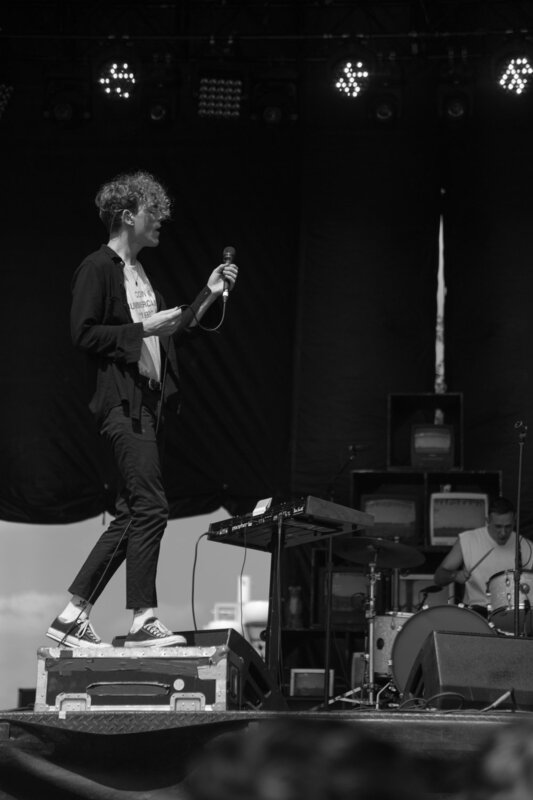 Chase: If we’re not writing, we’re touring. If we’re not touring, we’re recording. I haven’t had time for a hobby recently. Zach started reading a lot and collecting a lot of books. Teal Magazine: Do you have a favorite book so far that you’ve read in the past month? Chase: Tell her about the book you started reading yesterday! Zach: I’ve been reading a lot of Alan Watts. I finished a book called Nature, Man and Woman. It was great. Teal Magazine: Do you have a favorite genre? Chase: He’s spreading it out. Zach: I like general fiction and famous literature. I’m going back to reading a lot of books that I should’ve read earlier in my life but I failed to do so. Teal Magazine: What are your favorite cities so far? Chase: We like going to Burlington, Vermont. Chase: We love that city. We love playing Dallas, we love playing Texas, we love playing everywhere. We’re just happy. Teal Magazine: What’s your favorite guilty pleasure when you guys are on tour? Joe: I will second that, actually. Chase: I will third, and Zach will also chime in as the fourth. We love ice cream, occasionally.